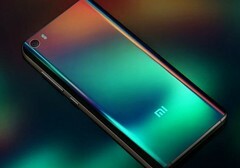 The Xiaomi Mi6 Ceramic edition offered 8 Mohs of hardness (diamond is 10). (Source: Awaqa). According to a recent rumor, one of the upcoming Samsung Galaxy S10 variants will feature a ceramic back, akin to Xiaomi products such as the Mi Mix 2 and Mi Mix 2S smartphones. It has been speculated that it will be the 6.7-inch Galaxy S10 model with six cameras that will be the edition to be adorned with a classy ceramic back. The latest rumor about the future Samsung Galaxy S10 series has taken a somewhat unexpected route. An article on SamMobile claims that the South Korean manufacturer is planning on providing at least one of the four expected Galaxy S10 devices with a ceramic back, which will come in black and white. Apparently, it will be the 6.7-inch 5G-capable behemoth that bristles with six cameras that comes with the ceramic casing. Ceramics have been used for the cases of a number of smartphones over the years. Xiaomi has used ceramic material for devices like the Mi Mix 2, the Mi Mix 2S, and the brand-new Mi Mix 3 flagship. Other manufacturers have also incorporated ceramics into their handsets: Essential used it on the Essential Phone (PH-1) and the OPPO R15 Pro has a ceramic back. A ceramic back would give an elegant look to a Galaxy S10 device and would offer an almost unbeatable level of hardness and scratch-resistance (only diamond and sapphire are harder). The upcoming Samsung Galaxy S10 line-up is starting to look very interesting, if the numerous rumors are to be believed. Multiple camera systems, state-of-the-art displays, vibrant gradient color options, and novel material inclusions are just some of the things that Samsung could be eyeing up to make the Galaxy S10 devices truly special.